As China's Mogao Grottoes brace for peak tourist season, new ticketing measures have been implemented to protect this ancient Buddhist site. They include a maximum daily intake of 6,000 visitors by prior reservation. Furthermore, group sizes will be limited to 200 people to maintain better order. Tourists can still arrive without a reservation, but with different pricing and itineraries. Reserved tickets are guaranteed a tour of up to 3-1/2 hours taking in eight caves and the site's four museums. On-the-spot tickets, meanwhile, are limited to about one hour and just four grottoes. 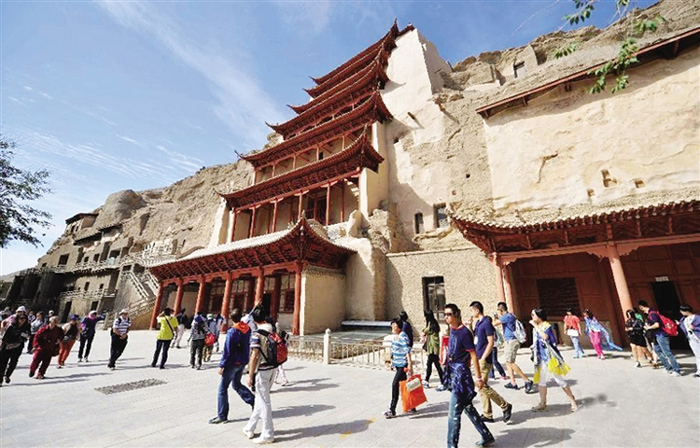 According to the Dunhuang Studies Institute, the number of tourists for the first four months of this year is already 21 percent above the corresponding period last year. The institute is expecting 1.3 million tourists this year.